Tirupati, 3 November 2018: The religious event Karthika Pournami Managudi will be observed in twin Telugu states from November 20 to 23 in a big way, said Tirupati JEO P Bhaskar. 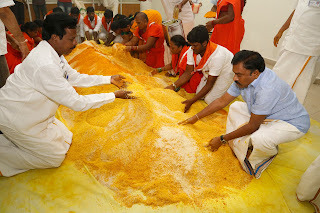 The preparation of Akshata (holy rice) for the mega religious event commenced on Saturday in SVETA building in Tirupati. Speaking on this occasion, the JEO said, Managudi is a programme aimed at bringing back the past glory to the neglected ancient temples and also to bring awareness among the youth about the importance of the temples, puja vidhi and other dharmic activities", he said. 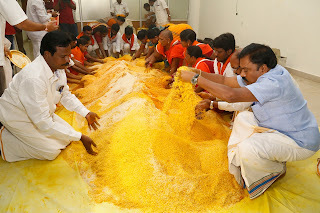 Elaborating further, he said, this mass religious event was introduced in TTD about six years ago in 2012 along with AP Endowments department. 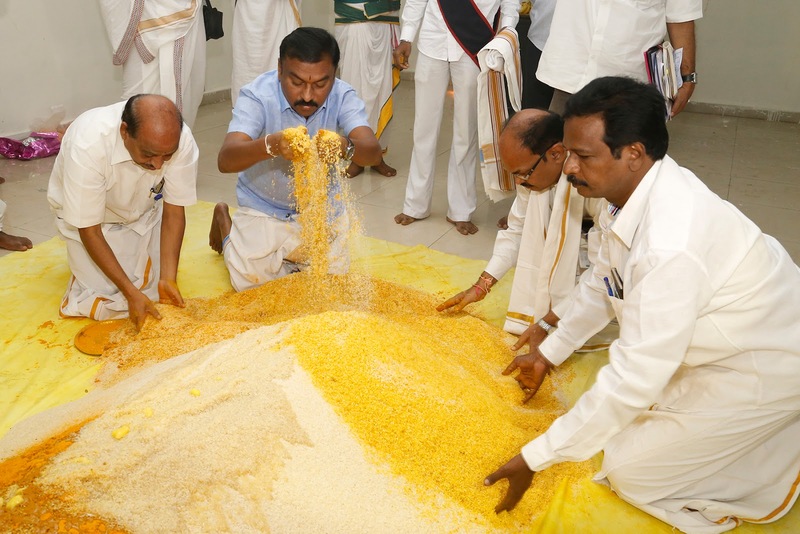 This fete is observed twice in a year during Sravana Pournami and Karthika Pournami across AP and Telengana. This year this fete will be observed in the auspicious month of Karthika from November 20 to 23. On the first day, Mangala Kaisika Dwadasi will be observed in five selected centres in each district of two Telugu states. 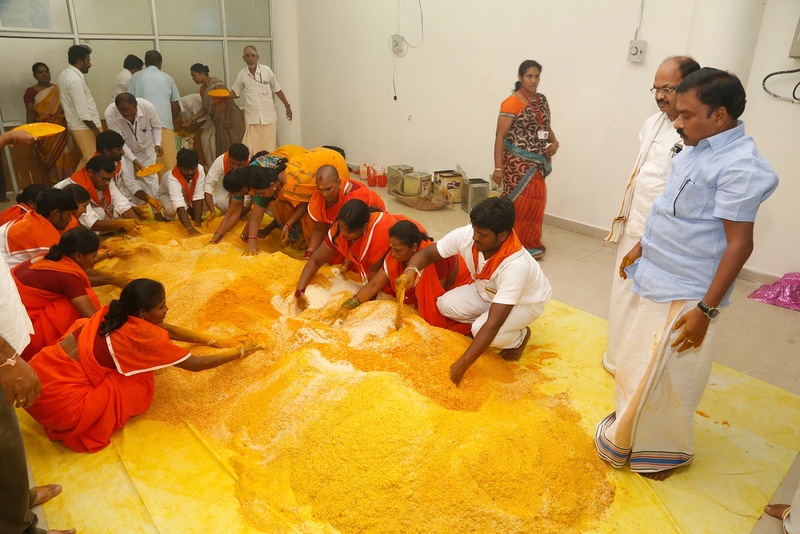 Mala Dasari community is the one who took the divine task of propagating the importance of temples and worship in rural areas since ages through devotional sankeertans", he added. The JEO said, on November 21, Aalaya Sobha will be observed where in the selected temples in each district will be cleansed involving local devotees and Karthika Deepotsavam and Managudi will be observed on November 22 and 23 respectively, he maintained. Ramana Prasad and others were also present.